Here is my article from the February edition of iRun magazine. So many of us runners get the calling; our inner voice tells us to stop thinking about it and do it already! Register for that 5k or 10k you’re considering; or the marathon or ultra you’ve been dreaming of. 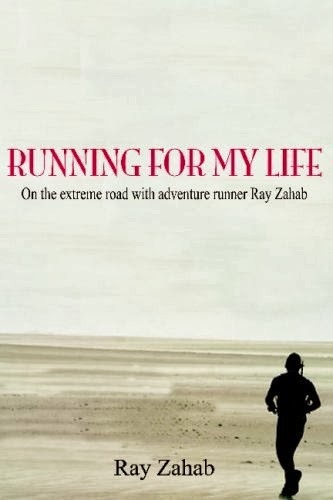 The photo I’d been looking at was the book cover for ultra running legend Ray Zahab’s Running For My Life. The words resonated deeply with me because I was beginning a battle with cancer at the time. This was the guy who ran through the entire Sahara desert! So naturally I did what any confused runner-slash-cancer patient, seeking answers, bumbling through the seven steps of grief, and hearing Yoda in his head would do: I called up the dude who wrote the book. Ray was happy to talk to me so I decided to get in touch with top Canadian ultra runners, Stephanie Case and Ferg Hawk, and get even more advice. Since storming onto the ultra scene in 2008 by finishing as the top female in Racing the Planet Vietnam (a 250km stage race), Case has gone onto a multitude of other victories and top finishes at some very tough and prestigious races. Hawke, who is the subject of the running documentary Distance of truth, is a two-time runner up at the Badwater Ultramarathon (often deemed the hardest race on earth) and holds the second fastest time for a North American at the Marathon de Sables—at 243 km race in the Sahara desert. What did I learn from Zahab, Case, and Hawke? My inner Yoda voice satisfied, I registered to run the 250km Gobi March through China’s Gobi Desert this summer. *gulp*. Although they came from humble running backgrounds, each has persevered and gone on to accomplish amazing things. Ray advised me to; “believe in yourself—no matter what. Selfdoubt will be there, but learn to push it aside.” Okay, I’m starting to believe, Ray. I’ve followed Stephanie’s advice, too. “Find a race that you think is out of your league and sign up before you have a chance to talk yourself out of it. Next, tell all your friends and family about it to make sure you won’t back out!” Check. I just told iRunNation, Stephanie! Make like a Scout — be prepared! While recently talking to Ray, he was firing off advice faster than I could process; “What is your ideal outcome? What is your secret goal; what do you really want out of this race?” Later, when I messaged him a thanks, I told him he was a running Jedi Knight. He coolly replied; “Learn to use the force, Jim. It’s strong in you.” And what is “the force,” really, but an internal strength and heightened mind-body connection? Maybe I do have it; maybe we all do. Maybe we can all use the force to take our running to the next level.